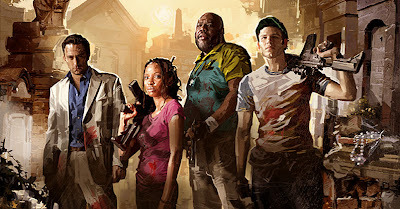 Released in the Fall of 2009, Left 4 Dead 2 is the sequel to the 2008 first person shooter hit. Once again, you and a band of unlikely new heroes join together in escaping the zombie apocalypse. This time, instead of trying to escape the metropolis in Pennsylvania, your team finds itself trying leave the city of New Orleans. This heart pounding adventure will bring you across cities, swamps, a shopping mall, and a creepy carnival just to name a few. My exposure to the first Left 4 Dead game was at a minimum so I can't really make a proper comparison, but from what I hear, they made a lot of improvements in the year between the two game releases. One such improvement was the addition of melee weapons which has to be one of my favourite features about the game. Sure it's fun shooting zombies with your rifle, but nothing is grittier than standing toe to toe with a zombie and whacking it in the face with an axe or a guitar. So while I enjoyed the game, I never walked away with the feeling that I craved for more. I had my share of fun and I think it was sufficient. That said, I only played the campaign in single player and they say its strength comes from the cooperative gameplay with you and three friends (together, putting the 4 in Left 4 Dead). The thing that is frustrating to me is that you can only have two people playing at once on one console. I've read on a few forums about the technicalities that kept the game from stretching to four players on a system, but the product just seems silly this way. They should have named the game Left 2 Die instead. Not all of my friends have an Xbox, so having only two players max on a system is an inconvenience. Like I mentioned at the beginning of my last post, I love story, and I think one of the main reasons I couldn't get into L4D2 was the lack of a good narrative. It's a simple escape and survival story, there's nothing deep or complicated about it. 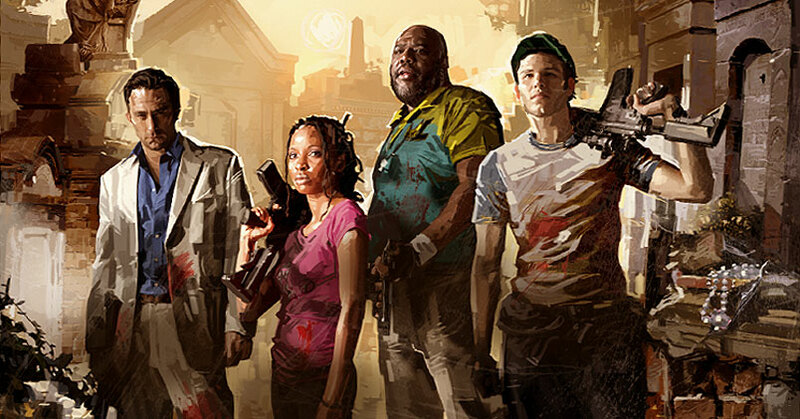 But if you're looking for a solid shooter and especially one that pits you against zombies, you really can't go wrong with L4D2. Til next time, later geeks!